Set of 4 multipurpose sponges with a wide range of art and craft uses. Finely grained, highly absorbent sponges are indispensible in pottery making, ceramics, sponge painting, staining, stippling, faux finishes and painting. Useful for all the painting media: acrylic, oil, watercolor or fabric paints. 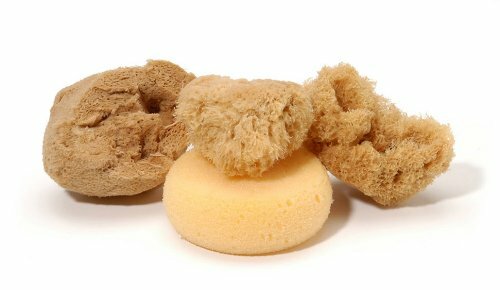 Set includes 3 natural sea sponges and 1 rounded artificial sponge. 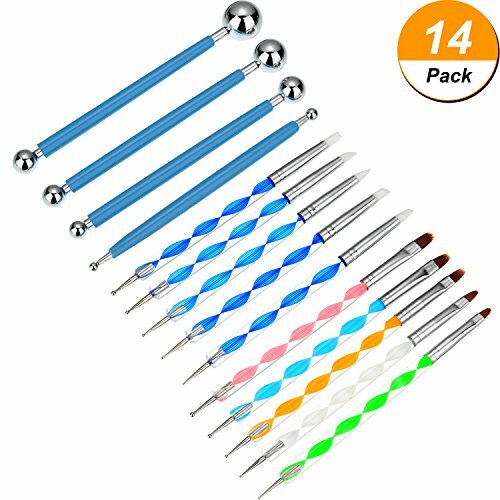 14 Pieces dotting tools painting brushes set nail art dotting tool for rock painting embossing art pottery craft Different designs: Each painting tool has double heads, and each head are not the same in size, convenient for you to do different crafts and can satisfy your different needs. 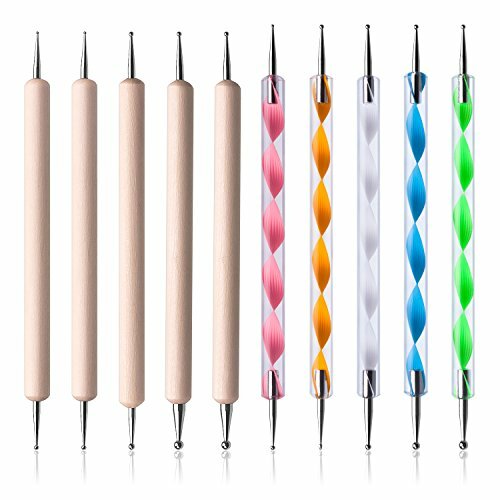 Dimension: 5 Different diameters of dotting tools painting brushes, they are 0.8 mm, 1 mm, 1.5 mm, 2 mm and 2.5 mm, 8 different diameters of metal ball tools, they range from 4 mm to 18 mm (4/ 6/ 8/ 10/ 11/ 13/ 16/ 18 mm) Material: The dotting tools set consists of copper tube, acrylic, stainless steel rubber and brush, lightweight and easy to use for both beginners and experts. Wide ranges of usage: They are suitable for nail art, making dots, blending seams in clay and embossing pattern on soft metal or paper, also fit for cake, fondant flower mold. Specifications: Length: approx. 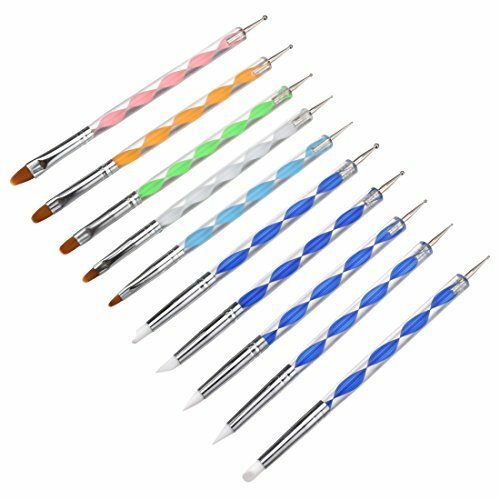 15 cm/ 6 inches Color: light blue, red, green, white, yellow, dark blue Quantity: 14 pieces Package includes: 5 x Dotting tool with brush head 5 x Dotting tool with rubber head 4 x Metal ball tool Note: The size may have a little errors due to the manual measurement. 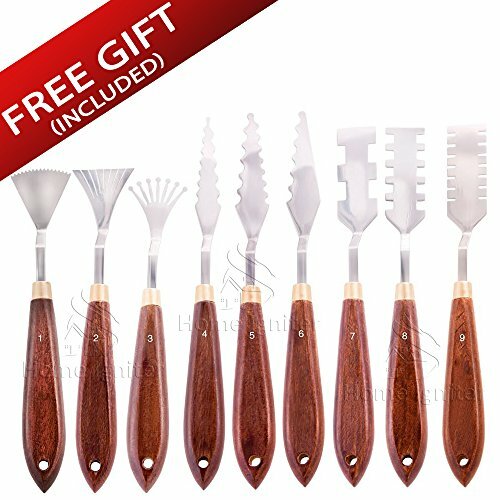 Stainless Steel Palette Knives For Artists - 9 Piece of Spatulas For FX Special Effects - Thin and Flexible Art Tools For Oil Painting, Acrylic Mixing, Etc. 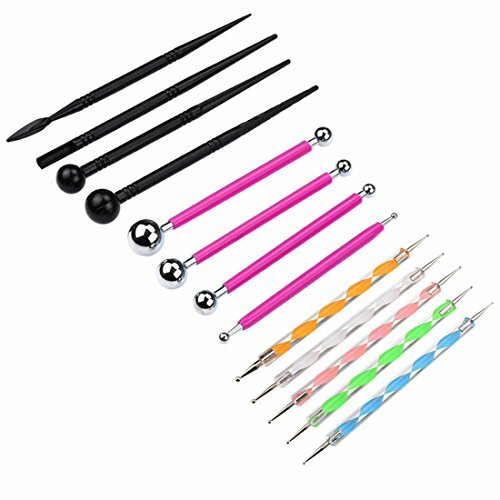 Home Igniter's Palette Knife Set - 9 Pieces - Want to introduce more creative and unique styles to your art? - Looking for a professional grade art tools to help you with your Masterpiece?- Need a set with a wide range of effects without the higher prices? Look no further! The Home Igniter's Palette Knife Set is all you need! Take your art to the next level with these uniquely shaped palette knives. 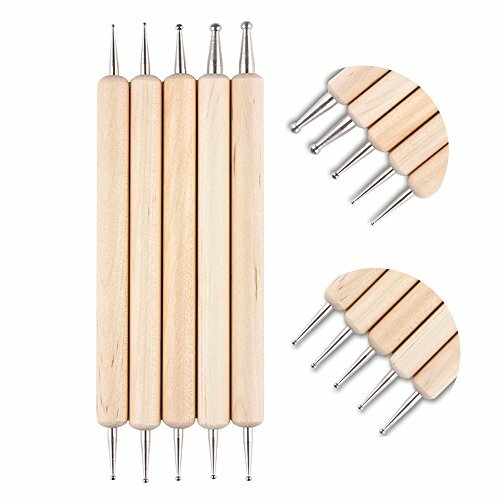 This set of stainless steel art tools will enable to work with any type of material without rusting or degrading. Weather you work with heavy gels, modeling pastes, or gesso, your only worry will be your art piece! 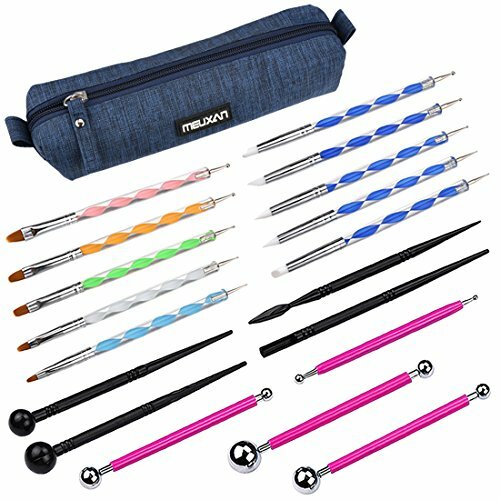 With this set of Premium art of tools, your imagination is the only Limit! Technical Specs: - Blade Type: Stainless Steel - Handle Type: Zelkova Serrata Premium Wood. - Applications: Gesso, Paint, Modeling Paste & Texture Gels, Aggregates, Plaster, etc. - Uses: For Mixing, Spreading, Scumbling, Spreading, Scratching, Large Paintings, Murals, Theater work, etc. Included: - Nine (9) Pieces of Palette Knives.- One FREE (1) Painting Palette. We can only guarantee this prices while supply last! Buy Now! 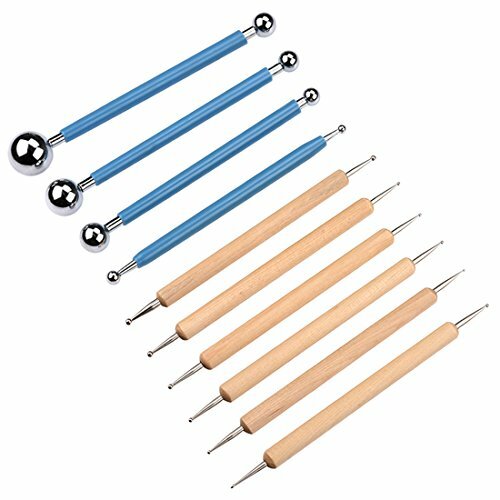 Compare prices on Art Painting Tools at TopShopion.com – use promo codes and coupons for best offers and deals. We work hard to get you amazing deals and collect all avail hot offers online and represent it in one place for the customers. Now our visitors can leverage benefits of big brands and heavy discounts available for that day and for famous brands.